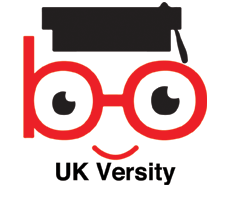 UK Versity > News > Blog > Why study online? Technology is everywhere. Our lives are now intertwined with the use of technology and its benefits that sometimes it is difficult to imagine life without a mobile phone, tablet or the internet. We see and interact with technology almost everywhere from a grocery store to driving to when speaking to friends and family. Avid Gamers would recognise that Virtual Reality is the next step in Gaming and for an educationist like me I am convinced that Online Learning is the next big thing. As we progress in our careers, the process of continuous learning becomes important as it helps you acquire skills, knowledge and abilities. In order to stay ahead, people are taking up vocational courses which help develop skills. The reasons for study or learning have not changed much but certainly, the platform and location of learning have moved to ONLINE. The availability of resources, digital technology has made learning online possible almost anywhere in the world. As an award-winning online provider of education, we have seen first-hand the take-up online education. The technology has changed the way education is delivered. The learners are no-longer interested in sitting in a classroom but looking to acquire skills and learning in their day to day environment using the technology. UK Versity started off as a distance learning provider of further education courses but in 2016 we introduced Blended Learning Using Virtual classroom technology and Webinars we transformed learning for our learners. Suddenly the learners had access to tutors, and lessons at a click of a button and at their own convenience on any smart device. The smart device here refers to phone, tablet, PC or Mac. This increased our interaction with learners and we interacted with them in their natural settings. The interest and take up of courses has gradually increased and the flexibility of joining the session from anywhere at any time has allowed our learners to achieve the qualification in high numbers. As a provider of education, UK Versity has 95% completion rate for courses. Having spoken to thousands of learners, I believe that online learning has removed all barriers for anyone looking to gain an education. Blended Learning has assured a new paradigm in the delivery of education at UK Versity. The change from classroom to virtual classroom, examination to the assessment based system has been gradual but is now a reality and the new norm at UK Versity. UK Versity today has learners from 14 different countries and is expanding and looking for like-minded partners who share the vision of making learning social. As a provider we use Social Media to teach, deliver and impart training to our learners globally. UK Versity as a provider of further education courses is now an accredited centre for ATHE, NCFE, OTHM, Qualifi, Digital Marketing Institute and offers a range of qualification (RQF Level 3-8) in Accounting, Business, Computing, Digital Marketing, Education, Healthcare, Hospitality, Tourism and Teaching. The author of this article has extensive experience in further education and has worked for Pearson and NCFE. As an active teacher, he is continuously striving to make his dream of providing and delivering education online to everyone who is on the quest to learn.